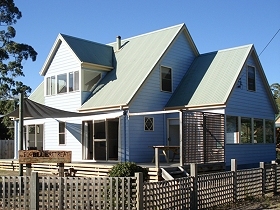 The Big Blue Retreat is a holiday house at Garden Island Sands in the Huon Valley, southern Tasmania. The Retreat sleeps nine people and features three generous sized bedrooms. A separate dining and lounge area with a cozy wood heater is located downstairs with a large family area located upstairs. There is a full kitchen, laundry and bathroom with shower and bath. A second toilet is located upstairs for convenience. 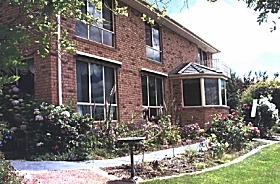 The property also boasts undercover parking and a fully fenced yard and a play area for the children. The Big Blue Retreat is the perfect base for exploring Southern Tasmania or to get away to relax and recharge. 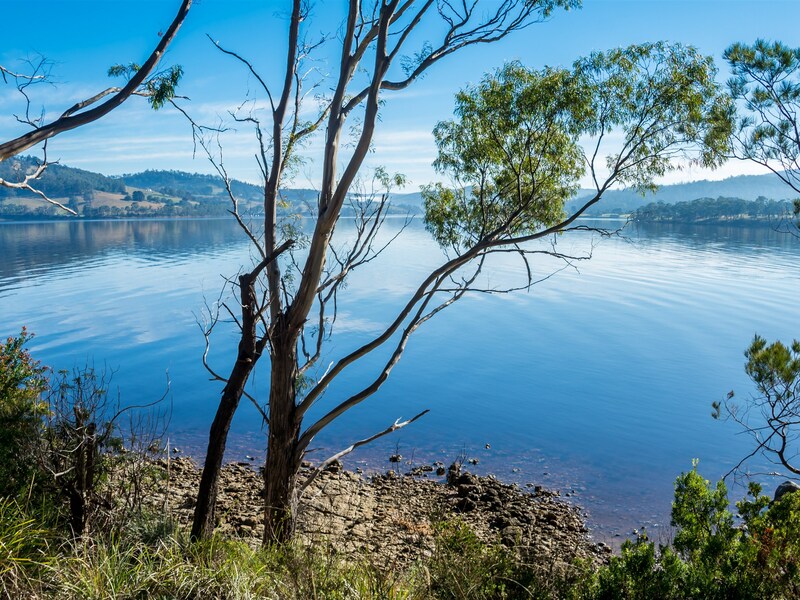 Southern Tasmania boasts World Heritage Area walks, local art and craft, amazing food and wines – the Cygnet region specializing in organic and biodynamic fare. A number of festivals and exhibitions are held annually. Garden Island Sands is a picturesque quiet hamlet situated in the beautiful Huon Valley, 50 minutes’ drive (60 kilometres/38 miles) south of Hobart.